One of Thailand's most influential and celebrated directors, Ratana Pestonji, was born on May 22, 1908 in Bangkok. Variously called R.D. 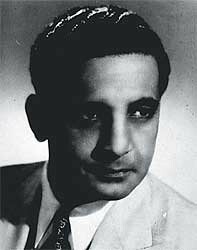 Pestonji or Rutt (or Ratt) Pestonji, he was the son of a Parsi Indian (ethnic Persian) family. He was schooled at Bangkok's Assumption College and then in India and London before returning to Bangkok. He studied engineering, but was always interested in photography and filmmaking since childhood. He made his first film, Tang, in 1937, which won a prize at a competition in Scotland, and was given the award by Alfred Hitchcock. His 1939 short, White Boat was shown at the New York World Festival. 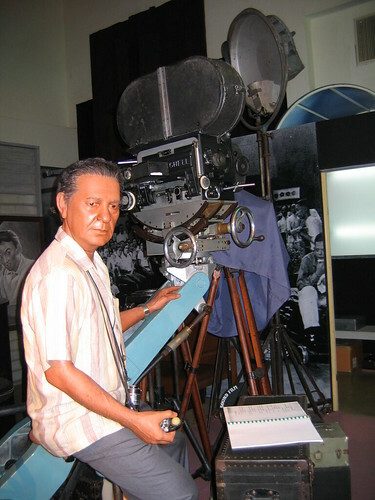 His professional film career started in 1949, when he served as a cinematographer on Pantai Norasingh (Oarsman Norasingh), for Prince Bhanu Yukol. He started his Hanuman Studio in 1950, off Wireless Road in Bangkok, and made his first feature, Tukata Jaa (Dear Dolly) in 1951. In 1954, he shot Santi Veena, a tragic love story that was awarded prizes at the Asia Pacific Film Festival in Tokyo. 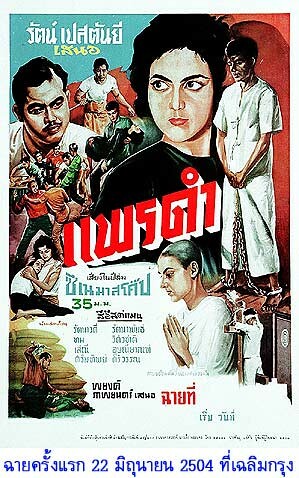 In one of the earliest examples of the Thai government persecuting its great filmmakers, the authorities imposed a tax on the print of Santi Veena, and noted that the film hadn't been vetted by the censorship board. They also imposed a heavy customs duty on the Mitchell film camera Ratana won as a prize at the Tokyo festival. 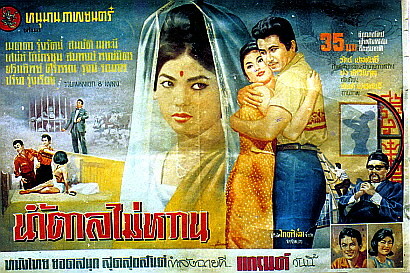 Subsequently, Santi Veena was lost, never to be seen in Thailand, and any surviving prints are now the stuff of rumor and legend -- it is a Holy Grail of Thai cinema. Ratana then went to produce and serve as director of photography on Forever Yours, another tragic love story. 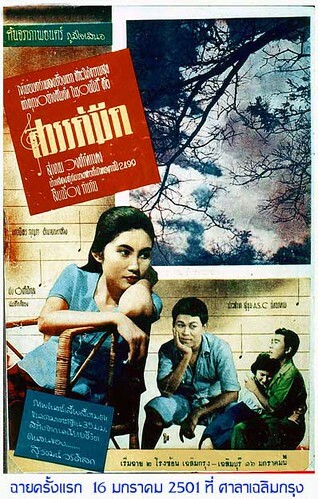 Like Santi Veena, it was directed by Tawee na Bangchang ("Khru Marut") and co-written by Vichet Kounavudhi. It is the story of a young adulterous couple who are handcuffed together, and it's made all the more iconic by the fact that it still exists. He then directed four more feature films: The 1957 black-and-white musical comedy Country Hotel; 1958's musical drama Dark Heaven 1961's Phrae Dum (Black Silk) -- regarded as Thailand's first film noir -- and 1964's Namtarn Mai Warn (Sugar Is Not Sweet). Ratana's movies were not big successes at the box office. He made a black-and-white film [Country Hotel] while everybody else had gone colour. And he used sound on film, while the audience in those days wanted to hear live dubbing -- the dubbers were the stars, and each province had its own famous film dubbers. Khun Ratana did things in an idealistic way because he believed in it, and that was his greatest quality." In the face of prevailing industry practices and uncaring, blinkered government authorities, Ratana pushed for innovations, raising the level of camerawork, lighting and editing from merely static elements to enhance the artform of films in Thailand. He was a tireless promoter of the idea that cinema was art, not just mere entertainment or commodity -- a concept that continues to fall on deaf ears today. His words trailed off, with other accounts having him saying "I ... feel ... that ..." before he fell to the floor. He was rushed to nearby Chulalongkorn Hospital, but he couldn't be revived. He died of a massive heart attack at age 62. Ratana's son, Santa Pestonji, has continued in the film business. He directed a remake of Santi Veena in 1976 but has made his career running company that provides film crews and equipment to foreign productions shooting on location in Thailand. Films that Santa International Film Productions has been involved with include Star Wars III, American Gangster, The Beach, Heaven & Earth, The Man with the Golden Gun and dozens of others. Because his handful of films have survived, Ratana influenced the New Wave of Thai directors, specifically Wisit Sasanatieng and Pen-ek Ratanaruang. In particular, Wisit's Tears of the Black Tiger evokes the production design, color palette, costuming, hair styles, character blocking and acting style of Ratana's films. Pen-ek used a clip from Forever Young in Last Life in the Universe. The story of Chuafah Dinsalai [Forever Yours] is so strong and the design and cinematography just pull you into that world," says filmmaker Pen-ek, whose recent movies include Invisible Waves and Ploy. "When I first saw it I really couldn't stand the performances of just about any of the actors, but 30 minutes into the film I was totally taken. The contrast between the outdoor landscape in the first half of the film and the claustrophobic room in the second half was brilliant. That film was almost directed by its cinematography." But of all his works, Prae Dum (Black Silk) is the movie that manifests Ratana's curious mix of brave avant-garde and Buddhist serenity. A film of surreal beauty, it tells the story of a widow who's always dressed in black silk (played by Ratana's daughter, Pannee) and her troubled relationship with a village thug. In this story about murder and emotional manipulation, Prae Dum also has the existential light-footedness that resembles the French New Wave. "Prae Dum is the film that remains my single major influence," says Wisit Sasanatieng, director of Tears of the Black Tiger and Citizen Dog. "It's the crown jewel of all Thai cinema. It shows that Khun Ratana was not simply a master storyteller, but that he knew how to use colour, art direction and camera angles to create subtle nuances and charge the movie with strong emotions." "If I could choose, I would love to remake Prae Dum," adds Pen-ek. "It is so, so, so atmospheric and film noir. The shot when the camera pans from the coffin to the pair of sandles on the floor still gives me a chill. That shot would have made Hitchcock proud." The Thai Film Foundation is commemorating the centenary of Ratana Pestonji's birth on May 22, this Thursday, with a special event from 4pm to 8pm at the National Film Archive in Salaya, Nakhon Pathom, about one hour outside central Bangkok. Activities will include a museum tour, appearances by Ratana's family and film stars and filmmakers and a screening of a documentary on Pestonji's life. The Thai Film Foundation has Forever Yours, Country Hotel and Dark Heaven available for sale on DVD. It plans to issue Black Silk, Sugar Is Not Sweet and Dear Dolly on DVD this year. I'll be writing more about the Pestonji centennial and the filmmaker's works in the coming days. It's painful yet heart warming that RD is forgotten but yet remembered by a handful few. I will try my best to be there in memory of RD.